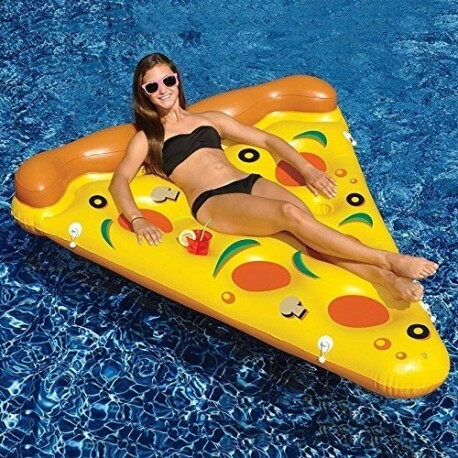 Inflatable pizza mattress for swimming pool or beach, relaxation guaranteed with this high quality beach pool air mat. 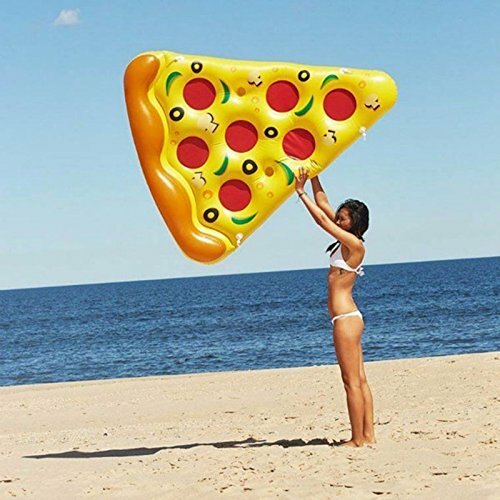 Inflatable mattress, portable, very light and very compact. All the characteristics are combined to offer maximum comfort during your escapades to the beach or to the swimming pool. 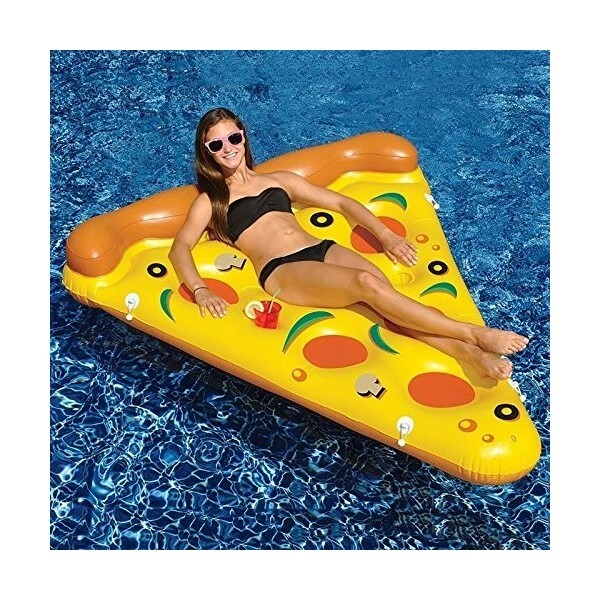 This pizza-shaped mattress is a true invitation to relax, enjoy your holidays or your simple moments of relaxation.